Depending on your destination, it may be possible to rent a bus. Reserve a bus at least two weeks in advance of your trip by calling Michelle Bartlett at (360) 867-6484. If the vehicle you want is already reserved, or is not listed above, we can help you arrange a rental through the Washington State Motor Pool. Daily cost of a Evergreen Vehicle will be $82. The first 150 miles of a trip will be free and after that we will charge $0.34 per mile. If you cancel your reservation less than 24 hours before the scheduled pick up, we will charge a $25 fee per van/trip. Any fuel you buy during your use should be put on the Voyager credit card that comes with the vehicle. Read more about additional vehicle costs. If you will be traveling more than 10 miles from the college, you will need two authorized drivers per van. If you will be traveling four hours or more, you will also need to assign a navigator for each four-hour period. See the training materials for more about managing longer trips. Student group reservations must be made through your Student Activities advisor. Sports-related trips should be scheduled through the Athletics office. You may not ever use a college vehicle for commuting, personal trips, or errands. Additionally, you may not transport anyone who is not on official college business. Get your travel authority approved before you make a vehicle reservation. Fill out a reservation request online. 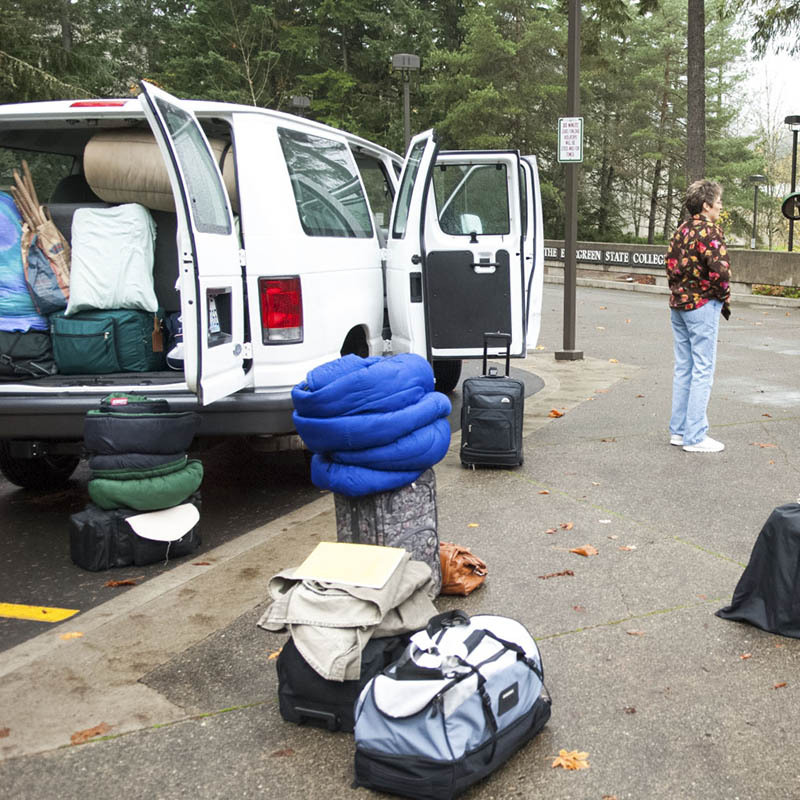 You can also email motorpool@evergreen.edu, call (360) 867-6354, or visit our office in Lab II 1254.